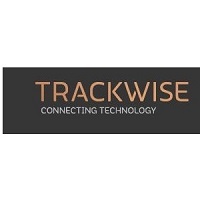 Trackwise Designs PLC (LON:TWD) Chief Financial Officer Mark Hodgkins caught up with DirectorsTalk for an exclusive interview to discuss their intention to float on AIM. Q1: Congratulations on your plans to float on AIM, can you tell us a bit more about Trackwise? A1: Trackwise Designs was formed in 1989 and has been making products using printed circuit technology since that time. We have a strong historical business in Radio Frequency PCB’s for the telephone industry but more specifically, and the reason for our float, is that since 2010, we’ve been developing a new product which we’ve called ‘Improved Harness Technology’ (IHT). IHT is designed to refigure the wiring of aeroplanes, electric vehicles and all such equipment. The technology can reduce the weight of wiring by up to 60% and when you consider that a civil aviation craft can have up to 100 kilometres of copper wire in its body then the weight gaining is significant. Q2: What is the main reason for listing at this time? A2: So, the main reason for listing at the present time is so that we can re-equip and enlarge our productive capacity at our factory in Tewkesbury, so we can cope with the increased demand that we’re seeing from a various number of customers. Q3: Can you explain a bit more about the use of the proceeds? A3: Most of the proceeds will be used on buying capital equipment so there’ll be a loss of investment in new equipment but also in upgrading the equipment. The equipment we have is fine for the level of business we’ve been doing hither to but with the levels of demand we’re seeing, we’re going to have to re-envigour those machines, so we can just get more product through the factory. Q4: Where do you see the main opportunities for the company? A4: We’ve also had the main goal on the rewiring of civil aviation airliners but that’s a long-term goal for the business. In the short-term, our opportunities lie with drones and UAV’s generally with the constellation satellites, with High-Altitude Pseudo-Satellites, and in the automotive industry with urban aerial vehicles such as that are being proposed recently by Rolls Royce. Also, in the automotive sector generally where we are engaged in assisting companies in rewiring and re-envigouring their battery packs. Q5: How do you view the remainder of the year and beyond for Trackwise Designs? A5: We’re trading as we expected to trade, and we see now reason why we shouldn’t continue to do that so we’re in line with expectations and what we’ve said we will do.